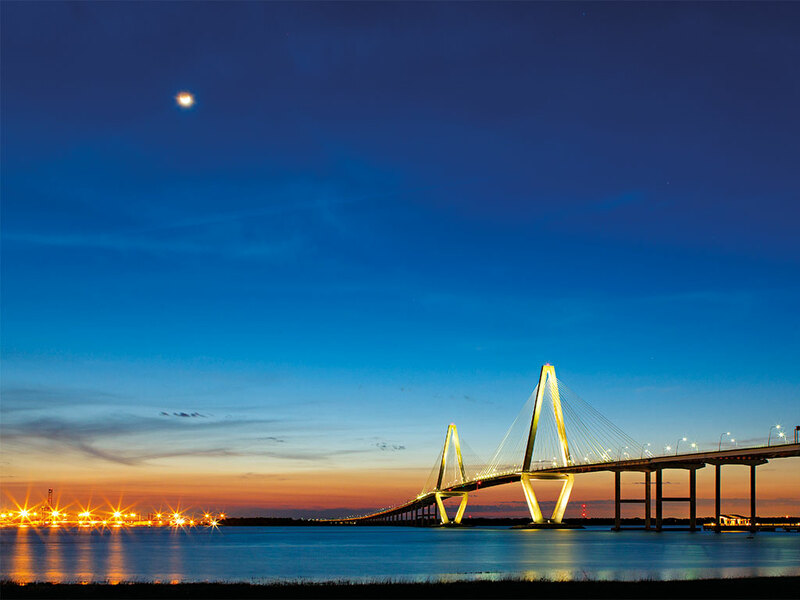 The North Eastern Strategic Alliance (NESA) region of South Carolina offers a diverse mix of established infrastructure and development opportunities, along with a competitive cost of doing business. Throughout the region, the ability to develop around existing and planned infrastructure offers a great incentive to potential investors. Located in one of the most desirable locations along the east coast of the US, the NESA region sits strategically between New York City and Miami, and less than eight hours away from 50 percent of the US’ major markets. The region is a veritable distribution and logistics oasis, with two interstate highways, numerous four-lane highways, four ports within 180 miles of the geographic centre of the region, and 350 miles of class-one track serviced by CSX. Near the geographical centre of the region, and in close proximity to the I-95, one of the most important transportation arteries along the east coast of the US, the South Carolina State Ports Authority has issued plans to establish an inland port within the I-95 Mega Site in Dillon County. The inland port will provide intermodal transportation via rail through an existing CSX mainline, providing access to south-eastern and mid-western markets. Sitting on almost 2,000 acres of developable property, the I-95 Mega Site is one of South Carolina’s premier industrial sites. With frontage along the I-95, the property is a South Carolina Certified Site, meaning all substantial wetlands, environmental, geotechnical, and archaeological studies have been performed, and all industrial utility services are in place. The need for new distribution and logistics facilities around the site has been a key focus for potential clients of the new inland port, presenting a unique investment opportunity for those looking to create the necessary infrastructure. Dispersed throughout the NESA region are numerous buildings that provide opportunities for businesses to grow around the existing infrastructure. In Florence County, the Pee Dee Spec Building, Worthington Building, ESAB Building, and Roche Facility offer properties in excess of 100,000 sq ft, with desirable locations adjacent to major transportation channels, including intermodal railways and interstate highways. With an established food processing industry, the region also offers an opportunity to build upon existing infrastructure, with a need for cold storage facilities and other extraneous agribusiness facilities. The region’s attributes are not limited to those regarding distribution, however, as the availability of timber and water provide an attractive mix of industrial natural resources for companies looking to establish or expand operations on the east coast. The NESA region is home to more than 2.8 million acres of commercial timberland, constituting four billion cu ft of wood, including 2.2 billion cu ft in softwood volume. The region also boasts ample groundwater, with one billion MGD and surface water with recharge rates from 56 to 1,679 MGD, thanks to the Middendorf aquifer – one of the east coast’s largest aquifers. The NESA region offers a variety of opportunities for investment, with a strategic location and a capable, available workforce ready to sustain any major industry. Alongside the region’s distribution and logistics attributes, the NESA area possesses many other traits that make it ideal for industries, including automotive, aerospace, agribusiness, call/data centres, and plastics. With the ideal combination of a highly skilled workforce and innovative training techniques, this region is leading the way in advanced manufacturing and R&D initiatives. The region’s low cost of doing business, prime location and exceptional quality of life are just a few of the reasons many world-class businesses have chosen and continue to choose the NESA region of South Carolina as their home. It is an ideal location for a company that is focused on the future.